Every year millions of dollars of damage is done by FOD - This could be drastically reduced if everyone did there part in reducing the materials that become FOD in areas where aircraft operate. 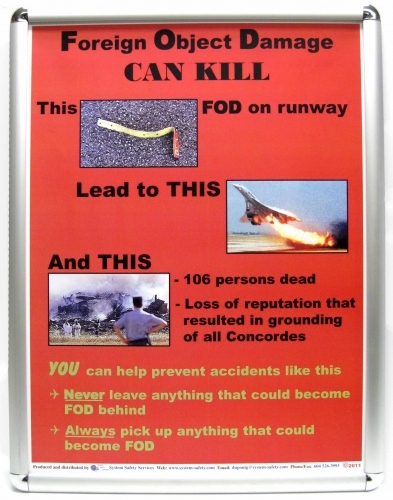 This poster is designed to remind people working on the ramp or at an airport to their part in reducing FOD accidents. 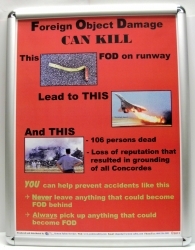 This poster shows one of the consequences of FOD.